I really don’t know what to say in this first post, my mind right now is more thinking of what should be here in this blog. Honestly, right now I’m still adding up some features that I want to add up on this blog. So anyway, I’ve looked up at Google and asking WHAT SHOULD BE IN MY FIRST POST? My full name is GAY AIDA DUMAGUING, 24 years old Filipina from Cebu Philippines. Yes, I’m a female not a homosexual, GAY is my name not my homosexuality. I don’t know why my parents name that though. A graduate of B.S. Information Technology and now working as a freelance SEO Expert, serving businesses, entrepreneurs and bloggers who are in need of my expertise on this field from my own home. At first, some people think I’m strict or snob but really I’m a loud and crazy gal. Most of my friends gave me a title as the most friendly but I don’t know now. I’ve been working at home all day that I don’t get to socialize with my fellow humans. WHAT IS MY REASON FOR BLOGGING? If you have check out my ABOUT ME page you’ll be able to read it there, but I don’t want to make you click there and there, why not just read it here, right?! I blog and started this blog because I want to help out people who wants to personalize, enhance or what I usually call “LEVEL UP” their Blogspot blog. Coz, I know that there are some features in Blogspot that are quite boring to look, especially when you compare it to Wordpress blogs. But don’t be dismayed, if you just did or will start out a blog too then I’m just here for yah! Just be up to date to the latest posts here in Bloggers Tech, if you can (and if you want to) you can subscribe to my newsletter. Obviously, I’ll blog about Blogspot/Blogger. I’ll blog about how you can make money from it, how you can level up the entire look, share with you some great themes to make it more attractive, share some tips on how to make your blog SEO friendly, and more! (and I don’t know what’s more). I don’t want to force you into this but if you’d like to drop me a comment below, feel free to do so. Spread the lovin’ (not the hatin’)… If you’ve got some problems in using some of my codes, tips, etc. then you can drop it as a comment, so that who else who have same problem as yours, we can show how to fix it and together, we’ll fix it. Another thing, if you want to REQUEST a topic, like you want me to teach you here (through blogpost) on how to add Facebook like box, twitter, etc. You can use the floating REQUEST button on your right, send me a message, include your name (so I could dedicate it to you), if you want you can include your e-mail, twitter and Facebook URL so I could contact you when I made a post related to it. Don’t worry, it’s for FREE! As long as I’ll discuss it here through Bloggers Tech and not one on one. I ran out of topics to discuss sometimes, so if I haven’t got that topic yet you can use that form. I'll try to give you updates and post some tutorials maybe 3 times a week, but at least once a week. My tutorials here (mostly) will have videos, so I'll have to record and edit some videos for you so it will take some time because I'm also juggling it with my job. Also, feel free to check out my services! 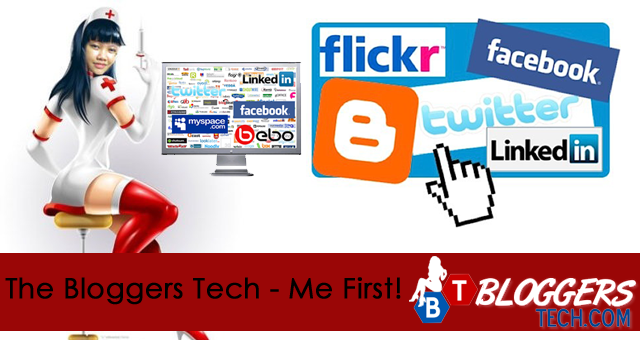 If you’re interested or you’ve got some inquiries or questions about it, you can contact me through the Bloggers Tech fan page, my twitter and through the contact page. Thank you and let's start blogging!